This infographic shows our swimming pool dehumidifier and its installation as an outdoor unit. 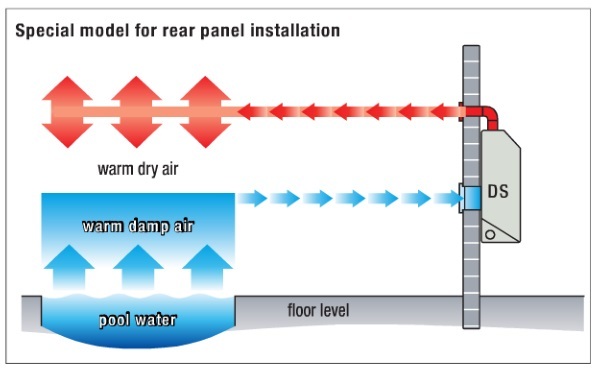 The dehumidifiers is an external model with air flow ducts into the swimming pool area. 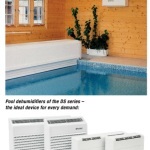 Please see the main page on swimming pool dehumidifiers. Vacker Group supplies all types of Swimming pool dehumidifiers in United Arab Emirates, Qatar, Kuwait, Kingdom of Saudi Arabia, Bahrain, Jordan, Iraq and Oman.